In the 1800s, Modibo Adama, a scholar and Muslim holy warrior, led a jihad in what is now Cameroon and Nigeria, opening the region up to Fulani colonization. He continued his campaign, eventually conquering many villages and founding his own empire, which he named Adamawa after himself. His Fulani people established Islam as the religion in the region. New converts learned classical Arabic in order to study the Qur'an. To support themselves, the people raised cattle on land that was once forested. 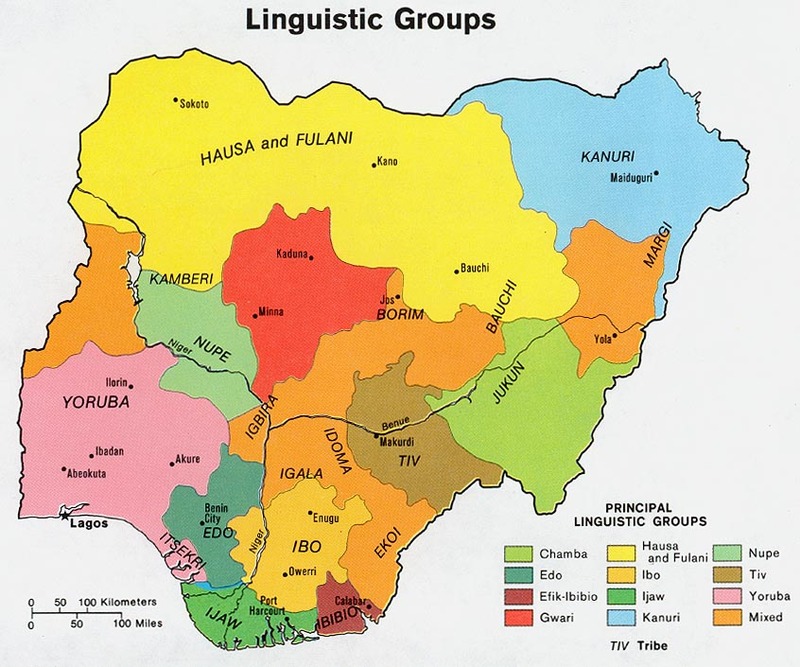 The Fulani tribes are grouped and named according to their locations, occupations, and dialects. The Adamawa Fulani are the group of Fulani who live in Nigeria's Adamawa Province. There are also Fulani groups found in Cameroon and Chad, but these trace their origins back to the Adamawa Fulani of Nigeria. In general the Fulani peoples are located in an almost horizontal strip across West Africa. The Sahara Desert forms their northernmost boundary, while the threat of tsetse flies control their movement to the south. Although most of the Adamawa Fulani are shepherds, some also raise a few crops such as sorghum or corn. They trade with neighboring tribes for millet, yams, and peanuts. Milk is the main staple in their diet, and this distinguishes them from the tribes who do not milk their cattle. They also produce butter, which can be traded in the markets. The Fulani nomads live in "wet season camps" while planting and harvesting. The pastures are lush and green, and the cattle graze freely. These camps consist of beehive-like huts made of woven twigs, leaves, and grass. During the dry seasons they camp in portable huts, moving the cattle or sheep to well-watered lands in the flood plains. Adamawa Fulani men hunt, trade livestock, and tend to the herds. While the older men exercise the leadership of the tribes, it is the duty of the younger men to move the herds. Young boys are responsible for helping their older brothers with the herds. The women usually milk the cattle and sell butter in the markets. Over the years, some of the Adamawa Fulani have advanced from being exclusively livestock herders to being scholarly, influential leaders in their communities. These people are likely to become political leaders in Nigeria. The Fulani are a proud people who teach their young children to have tribal dignity. Fulani children are required to love their mothers and respect their elders. They are also taught to strictly hold on to important values such as generosity, honesty, and modesty. In terms of spiritual beliefs, the Fulani are almost entirely Sunni Muslim with many animistic beliefs blended in. * Scripture Prayers for the Fulani, Adamawa in Nigeria. * Pray for courage and safety for missionaries who venture into Adamawa Province to take the gospel of peace. * Pray for a church planting movement among the Adamawa Fulani people.